In discussions on banking licences, one rather ignored area is that of urban cooperative banks (UCBs). This has remained somewhat below the radar. However, it appears that there might be some action in this space if the Reserve Bank of India (RBI) considers issuing licences for new urban co-operative banks in the near future. 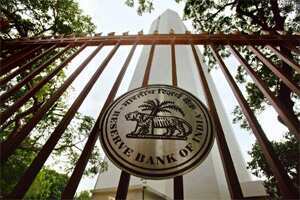 A recent report submitted by an expert committee of RBI, led by Y.H. Malegam, lays down some of the principles for issuing new licences. It is, however, important for RBI to recognize the difference in the form of organization before embarking on opening up the gates for new cooperative banks. Cooperatives are distinct from other forms of organization as they are organized on the principle of mutuality. RBI needs to recognize the complexity of the cooperative form. This complexity emanates from the principles of cooperation, which treats capital as incidental and not central to business. RBI needs to recognize this oxymoron—that there could be no co-operative “banking". Banks seek deposits from public and uses them for lending. If we follow the cooperative principles there could be no “public" as deposits come from owner-members. Thus, from a puritanical view one could argue for a neighbourhood level cooperative society. Federated structures could provide the sophisticated services to the members by having multiple neighbourhood societies promote the upper tier organization. The European and the North American models are basically neighbourhood credit unions and federated structures. Neighbourhood coops might need to be a bank to be a part of the payments system. The UCBs (with the notable exceptions like the Sewa Bank), work as neighbourhood banks rather than as cooperatives. It is impossible to break into a UCB’s membership club. So, as the expert report rightly recognizes, these are borrower-run organizations (page 54 of the committee report) with depositors having optional membership. The conflict of interest of a borrower-run bank is stark. If RBI were to issue new licences, it should move the control entirely to the depositors (except for institutional deposits) rather than accepting the recommendation that at least 50% of the deposits should be represented by members. Till now, we had no instances of cooperatives going below the capitalization requirements because of withdrawal of membership under the open membership route. Most UCB collapses were because of a ‘run’, an indication that UCBs are a close club—where members are too entrenched to withdraw membership; and deposits were held by customers, not members. A new formula proposed by the report that the new members should pay a premium to obtain membership (page 53) to represent the accumulated and indivisible reserves of the UCB appears fair, but has a dangerous flip side. The members withdrawing from membership also get a premium representing indivisible reserves. The implication is significant when considered with the other recommendation that the membership should represent more than 50% of the depositor base. These two together would make a perfect case for a run led by members in case of trouble. While the principle of withdrawing members getting a premium representing their un-encashed loyalty and patronage is desirable, it is dangerous in a bank. The cooperative should at least ring-fence the minimum amounts required for capital adequacy as non-distributable amounts. The issue of professionalism in running a UCB is a serious issue and RBI should consider the recommendations of the committee to have sliced governance—a board of directors (elected) for strategy formulation and a board of management (appointed/coopted) who satisfy the fit-and-proper criteria for governing the operations. The committee recommends lower capitalization for UCBs operating in unbanked areas. Granting a licence for starting/running an UCB is a technical issue, and this cannot be treated as a nation-building exercise. Cooperatives operate as neighbourhood institutions and it might not be a good idea to grant licences at lower capitalization. If a cooperative society could morph into a bank at scale, then the unbanked areas could start with societies than undercapitalized banks. However, the eventual question that RBI should stand up to is whether the regulator considers these institutions as banks incorporated as cooperatives or as cooperatives wanting to do banking. This makes a world of difference. This might be the one opportunity for RBI to restore cooperation in cooperative banks.